Yes, iBuypower is finally going to sell this mind-blowing case window with an integrated transparent display. Most trade show tech demos never actually wind up as retail products. 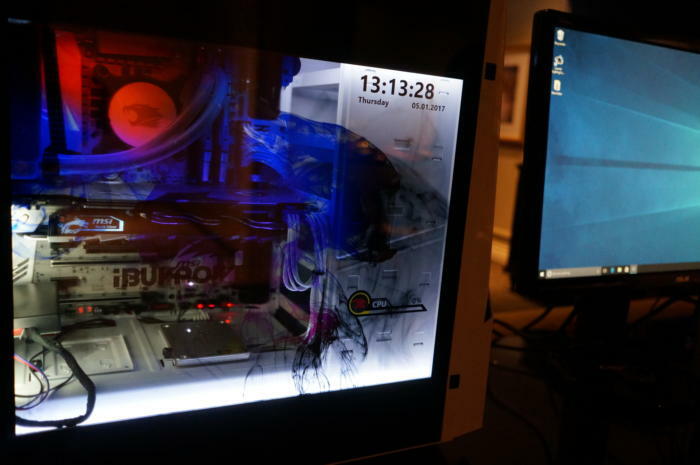 But that won’t be the case for iBuypower’s mesmerizing Project Snowblind case, which will go on sale next month. Did you see the video above? Look at it! Snowblind is nuts. 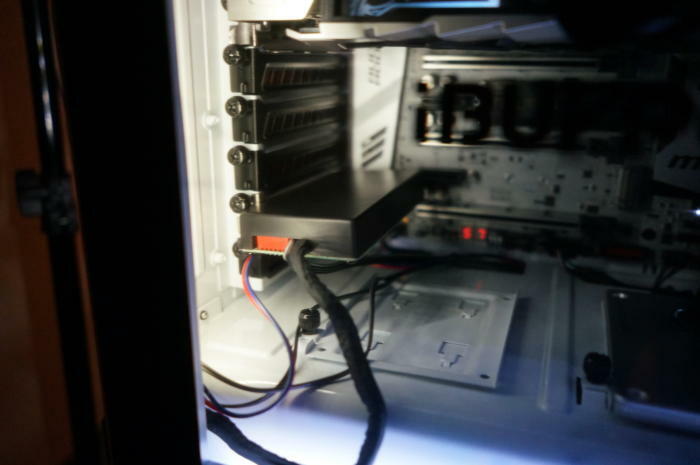 The concept, which iBuypower developed with help from Intel, takes a transparent LCD display typically used in digital signage, and integrates it into the side of an NZXT N450 case. This means video or system diagnostics can be displayed on the case window, all without obscuring the high-end components inside. Since it’s an LCD panel, the window requires power—and content—so it plugs into the system’s graphics card. In the near-final Snowblind system iBuypower showed me, the case display appeared in the OS as a second monitor, and Snowblind widgets were running on the free Rainmeter desktop skinning tool. 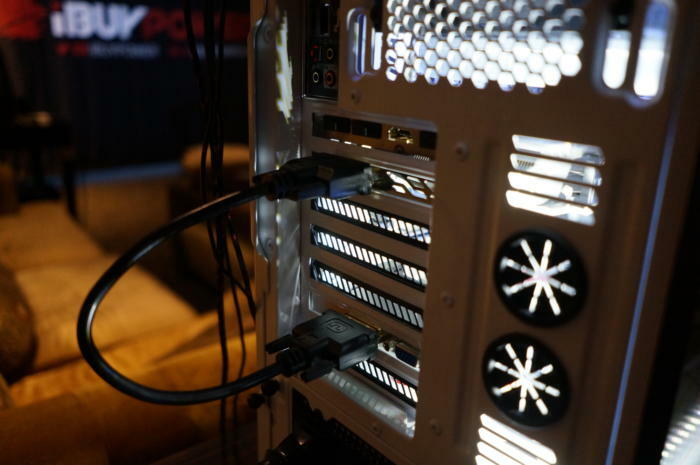 iBuypower’s Snowblind case window is driven just like a normal monitor over DVI. The transparent display effect looks best when running over an all white interior. And because these LCD screens are delicate, iBuypower protects them with a layer of glass. The screen size is about 19 inches diagonal with a resolution of 1280x1024. iBuypower also said the final iteration will support color images and video, though it will be somewhat washed out. Theat 1280x1024 resolution may sound absurdly low for a modern display, but for a case window, the video and the images appeared quite sharp to my eye. Snowblind didn’t appear to need external AC power to run, but it does require this box to slot into an expansion port. Transparent digital signage isn’t new technology, but iBuypower looks to be first to integrate this kind of display into a PC, and actually sell it for an affordable price. That last point is the kicker. When iBuypower showed off Snowblind at Computex in June, most thought it was cool but expected it to be far too expensive to ever be implemented. iBuypower, though, says the cost of a Snowblind window will add just $250 to one of its PC builds, and will be available as soon as February.